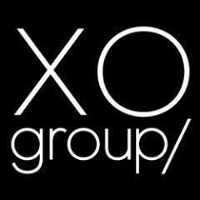 XO Group helps couples navigate & enjoy life's biggest moments. Here at XO Group, we truly believe in doing work that matters. Through our family of brandsThe Knot, The Nest, The Bump, GigMasters, & How He Askedwe inspire, inform, & cheer on our community as they move through lifes most amazing milestones. From the proposal, to creating a home & starting a family together, were there for every step of the journey. Our couples & business partners depend on us. They're all in. So are we. Our Video Production intern will support the Video Production Team with video pitching, scripting, assisting pre-production, filming, editing, managing assets, etc. This will include collaborating on a range of content formats & video productions. NOTE: Please include links to content samples in your cover letter. You must be enrolled in a Bachelors program or be a recent grad to apply. This is a paid internship & school credit is optional.